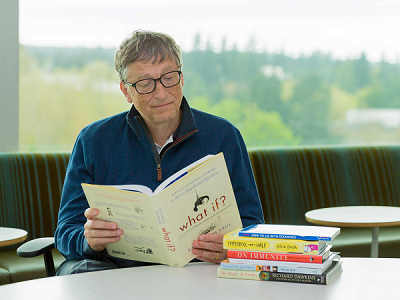 In an interview with The New York Times in 2016, Bill Gates shared that he reads around 50 books per year. Reading is, he said, “the main way that I both learn new things and test my understanding”. 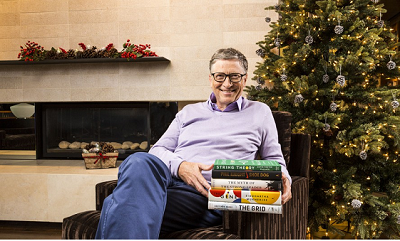 Bill Gates reads 50 books per year and he’s not alone! 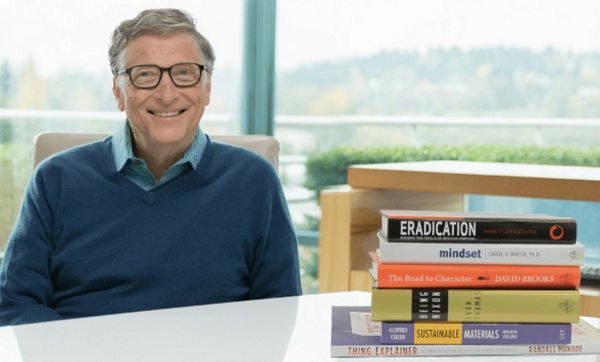 Gates shares his love of reading with a host of successful people who know that reading is essential for learning new things, thinking differently, and becoming wiser day by day. This, in turn, means they can make better decisions in their life and work, and paves the way to a successful life. Elon Musk has said that he learned how to build rockets by reading books. “You know, whenever anybody asks Elon how he learned to build rockets, he says, ‘I read books.’ Well, it’s true. He devoured those books. He knew everything. He’s the smartest guy I’ve ever met, and he’d been planning to build a rocket all along. ” Jim Cantrell on Elon Musk Warren Buffett became America’s most successful investor because he used his voracious reading habit to learn everything there was to know about every industry. “Read 500 pages…every day. It builds up, like compound interest. All of you can do it, but I guarantee not many of you will do it.” Warren Buffett Facebook founder Mark Zuckerberg started his own book club in 2015 to challenge himself and others to read a book every two weeks. “Books allow you to fully explore a topic and immerse yourself in a deeper way than most media today.” Mark Zuckerberg They’re not the only people who love to read and recognize it as a transformational habit. People from all walks of life, such as Emma Watson, Oprah Winfrey, and Barack Obama find solace in books. Why? Because they know that every single problem they encounter has been faced before by someone else. Someone somewhere found the solution and wrote it down. Successful people are smart enough to know that books are the best education, and they don’t have to reinvent the wheel to make great change. Bill Gates is the most inspiring example by far. Despite battling a tight schedule and a host of commitments, he manages to devour at least one book a week and advocates that anyone else who wants to be successful do the same. “Whether I’m at the office, at home, or on the road, I always have a stack of books I’m looking forward to reading.” Bill Gates 88% of financially successful people read at least 30 mins per day In his book, Change Your Habits, Change Your Life, Tom Corley writes about the 5-year study in which he interviewed a host of self-made millionaires about their daily habits. He concluded that reading was a key factor in their success. In fact, a massive 88% of his wealthy respondents reported that they spent at least 30 minutes every day on reading and self-education. 63% listened to audiobooks during their commutes to and from work. He found that his successful participants were also disproportionately likely to read nonfiction such as biographies, history, self-help, history, science, career-related and educational books. 85% read two or more self-improvement books per month. The main driver of good reading habits common to his wealthy interviewees was a healthy dose of curiosity. 86% said they had a passion for learning new things. If we look at anecdotal evidence, too, this seems to hold true. At the beginning of his career, legendary investor Warren Buffett spent 80% of his time reading. His resulting understanding of a broad array of industries gave him the edge over his peers. Most Blinkist users manage to read 3 titles per day So, how can you be more like Buffett and get into the habit of reading and on the path to success? Let technology help! Blinkist is an app that transforms the world’s best nonfiction books into 15-minute summaries of key insights (Here’s how it works). Because these packs of insights can fit into even the busiest of days, the average Blinkist user reads the main points of three books every day. If they read every workday, that means they breeze through 60 titles per month. But don’t take it from us. Take it from a real Blinkist user. “Blinkist is a key part of my morning routine and commute. I’ll listen to a book-in-blink while getting dressed and ready for the day, and read another book-in-blink while riding the subway to and from work. Blinkist has helped me read more period. Hitha Palepu, entrepreneur and author Hitha uses Blinkist to fit a little learning into her day, even when she has no time to spare. The audio function allows her to listen to any of over 2,500 titles in the Blinkist library on-the-go, and she has access to a huge community of like-minded learners via the exclusive Blinkist users’ Facebook group. That way, she can talk about what she’s learned and share tips on her favorite titles. So why not join the likes of Buffett, Gates and Palepu by downloading the Blinkist app now. Begin reading your way to success, today!